LOS ANGELES, September 7, 2018	(Newswire.com) - Gimbal, the identity-driven marketing and advertising platform powered by physical-world data, today announced the ability for advertisers to measure in-store visits based on programmatic ad impressions served to desktop, tablet and mobile devices. In-store measurement has long been a mobile-focused effort since smartphones are a proxy to where individuals go in the physical word. Yet marketers know their prospects aren’t only consuming media on mobile devices. Since acquiring Drawbridge’s media business in May and implementing its cross-device solution, Gimbal has further enhanced its targeting capabilities to execute campaigns across mobile, tablet, desktop and connected TV. Gimbal’s flagship attribution product - Arrival - measures foot traffic by utilizing its panel of first-party, always-on location data sighted by its location SDK against devices exposed to specific media campaigns. Gimbal can then passively capture real-time entry, exit and dwell-time data of each place visit, allowing for highly accurate measurement at scale. Starting today, Arrival’s enhanced device-level metrics now include visitation by time of day, day of week and distance between ad exposure and store visit - by screen. These deeper insights will allow advertisers and agencies to better analyze their consumers and campaign results and make better targeting decisions moving forward. “Coupling our enterprise-grade location data and beacon technology with the most precise identity-matching technology available allows our partners to measure place visits with accuracy, precision and confidence,” said Matthew Russo, chief marketing officer of Gimbal. 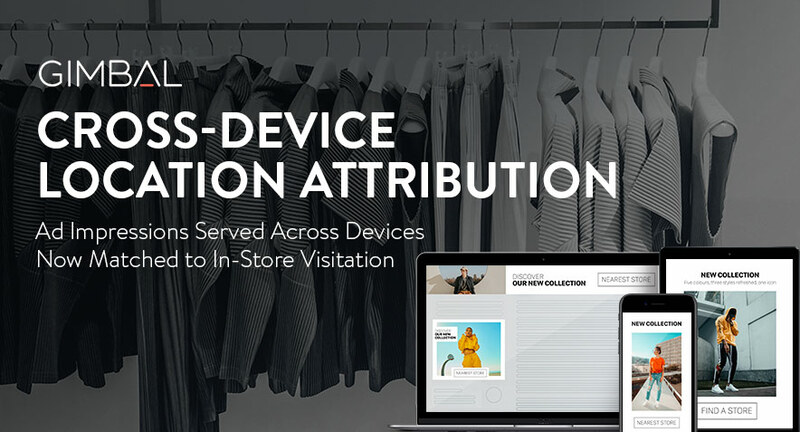 Being able to connect cross-device audiences with Gimbal’s extensive location data set to measure store visitation creates the most comprehensive offline measurement suite available in the industry today. This omni-channel view provides marketers with a broader understanding of what channels are most effective in driving consumers to a physical point of interest - insights that can be used to optimize campaigns in real time to decrease ad spend and increase performance. ​Gimbal translates location into intent, conversion and insight for companies trying to reach consumers or improve their customers’ lives. Using its own suite of hardware and software, Gimbal enables brands, media agencies and marketers to reach their audiences with personalized messaging and drive measurable business outcomes. Gimbal has been named to the Inc. 5000 list the past two years as one of the fastest-growing privately held companies in the United States and operates offices out of Los Angeles, New York City, San Francisco, San Diego and Chicago. For more information, visit https://gimbal.com.